My apartment is pretty tiny. It's not exactly where I hope to live the rest of my life. If I could, I'd build my own dream home. A good 75% of the space would be kitchen. Then there'd be a game room off to the side with a hammock and... yeah, that'd be just about it. 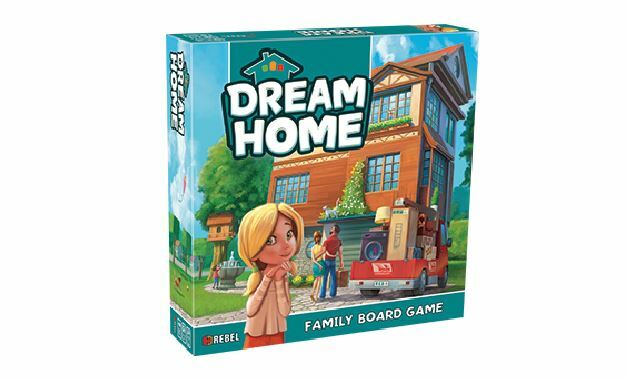 If you want to build your own dream home, but don't have the money to do it, you can still play Dream Home from Asmodee/Rebel. In the game, you and the other players are looking to create the ultimate dream home. However, where you want to put the room where you keep the limes might be different from everyone else. You'll have to play strategically in order to get the most points for your design. In the end, only one player will really have the perfect home. Dream Home is coming soon.